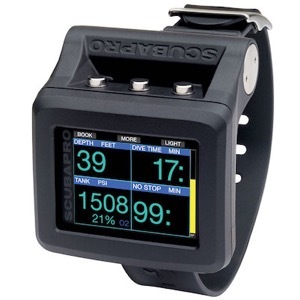 Dive Log 2.5 and DiveLogDT 4.4.36 were both recently released, with each one adding support for downloading the ScubaPro Galileo 2 (G2) and the ScubaPro Aladin Sport Matrix. Dive Log supports downloading via Bluetooth Low Energy (BLE), also known as "Smart Bluetooth" and requires an In-App Purchase to add this functionality. User's report that it's great to be able to download their dives while still on the boat. DiveLogDT can support downloading both models either via the USB cable, or using BLE. Simply select your desired method using the drop down menu. You will find that downloading via the USB connection is much faster. But you might find downloading via BLE a little more convenient. As part of developing this functionality, we noticed some "idiosyncrasies" with the Bluetooth functionality. As a user, knowing about them in advance may save you some time. There are 3 distinct phases when using BLE - Scanning, Connecting, and then Connected. Scanning for the device in iOS is very quick. You'll see the information about the device show up on the Download page right away. Scanning in macOS is very slow. It can take up to 30 seconds for the device to show up so you'll need to be more patient. The first time you connect your iOS or macOS device to the dive computer, you will need to "pair" with it. Both iOS and macOS have this functionality built in so that the first time you try it, you'll get a popup from the OS to enter the PIN number shown on the dive computer. Now the 2 devices are "paired", ie: they know about each other. This step, technically, only needs to be done once, the very first time you try to connect. Now your iOS or macOS device is finally connecting to the dive computer. If all goes according to plan, it get's connected and then starts downloading the dive data. If you have previously been connected to the dive computer and successfully downloaded dive data in the past, but now find that you can't go from "Connecting" to "Connected", it's likely that one or the other side of the devices has gotten confused, and no further connectivity will be possible until old connection parameters are "cleared out". This means that you need to "re-pair". Open the Bluetooth Preferences (under Settings -> Bluetooth in iOS and under System Preferences -> Bluetooth in macOS), and REMOVE the infomation about your dive computer. In iOS, touch the small 'i' next to the name (eg: G2) and then touch "Forget This Device". In macOS, click the small 'x' next to the name in the list of known Bluetooth devices. Now, then next time you try to connect to your dive computer you will receive another popup to enter the pairing code, but it should complete without issue as the "out-of-date" information is now gone. As always, contact us if you have any issues or questions. Happy Diving!